John Purbrick leads the Games Night on the first Thursday of every month at St John's Church in the coffee bar area. The group regularly meets unless there is a clash with another event taking place at St. John's Church such as Alpha in the Autumn. It is open to anyone and typically there are 12 folks around the tables playing games, having a tea or coffee and no doubt sharing some fun banter! 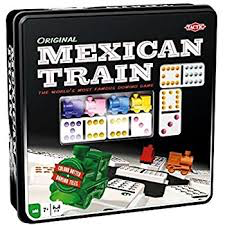 At the moment they tend to play The Mexican Train Game which is a great variation on the classic game of dominoes. So come along and join in with some new or possibly old friends for an evening of fun.